I am sending this from Rome where I have disappeared to for a few days to escape dogs, sheep (yes! ), olive trees and all commitments other than writing. I have found myself a perfectly airy studio in the eaves of a hidden complex in one of the fabulous old ochre-toned Roman streets near the Spanish Steps. 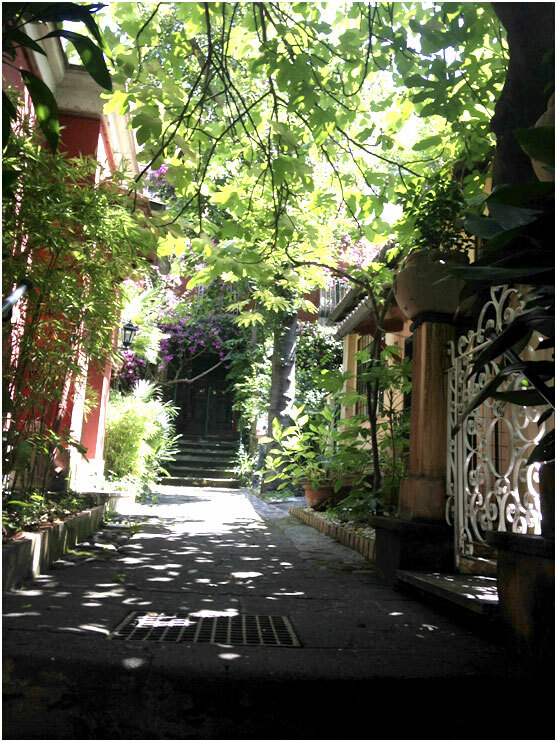 I am including a photo taken from its courtyard and you may be reminded of Gregory Peck and Audrey Hepburn riding around the city on a Vespa in Roman Holiday. Yes, the street where I am staying features in that film. I spent a fair amount of time here in my twenties, originally to visit a very good friend from drama school who had landed himself a zonking leading role in a film being shot at Cine Citta but then life unfolded and I stayed on. Stayed on and then came back… and the city continues to act as a magnet and, of course, since shooting The Olive Route films I have made a whole new circle of friends here. So, from Roma, my news shaded by a spreading fig tree. If you cannot manage the full five days but would like to be involved in at least one event, I will be introducing the Irish writer, Alice Taylor, on Monday afternoon 7th July at 2.30pm. Do try to come along to that. We will be talking about gardens and their healing powers. So, that’s the promoting over. Now, some news. 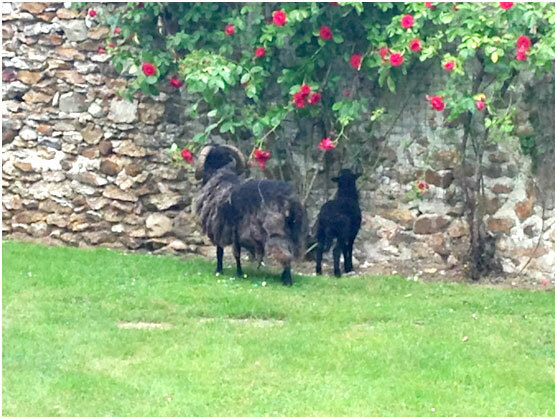 We have been given three black sheep. They are of the Ouessant breed which is originally from Brittany and predominantly used for grazing rather than meat. At present, they are living in the garden of our place outside Paris, christened by me, the Mad Old Chateau. Aside from our three fabulous dogs, I have never been an owner of livestock and not since holidays on the family farm in County Laois when I was a child have I ever lived with farm animals. I must say, I love it. This little trio, father, mother and son, are delightful and surprisingly intelligent. I had always been led to believe that sheep are rather stupid but I don’t find it to be the case with this team. They sneak out of their extremely large pen and trespass our neighbour’s garden and eat his roses. Fortunately, he is a priest and rarely in residence so the sheep’s antisc have not yet been discovered. You can see from the photograph that they are in need of shearing. If you live in or near the borders of the Brie and Champagne area and your are a sheep shearer, please, send me an email as soon as you can. We have a job for you! Speaking of emails. It seems that the command to order The Olive Route films or to buy books from us is not always working on this website, so if you have written to me to order books or films and have not received a response, huge apologies. I never received the requests. If ever you need me, I am available on olivefarmbooks@gmail.com If you have ordered and heard nothing, please try again and I will be in touch with you directly. On 26th of each month, I will be blogging on the very excellent History Girls site. Here is the link. Every day there is a fascinating piece from one member of this group of twenty-eight females who write, although not exclusively, historical fiction. As I said, my date is the 26th of each month so my first post is imminent. I will try to see whether we can link my posts to this website. Life at the farm. Midsummer and glorious. The soft fruits season. I have been gathering apricots and nectarines. 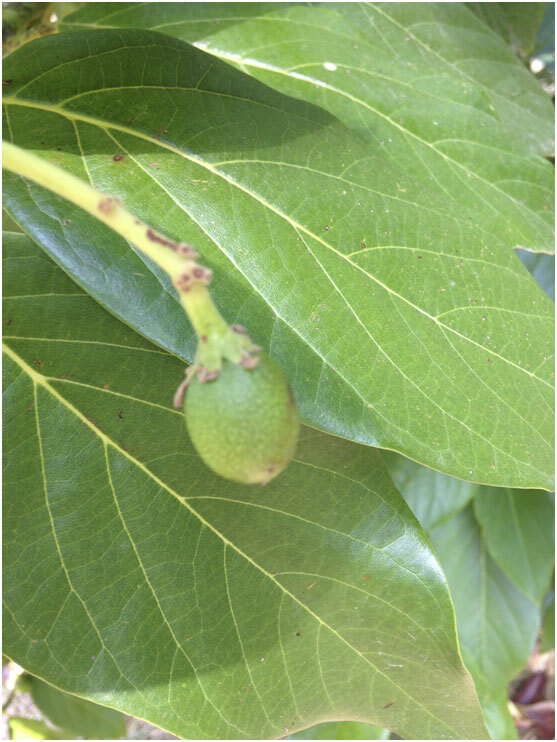 I am also thrilled that an avocado stone I planted in the greenhouse and then replanted as a shrub on the land is now a tree taller than any man and has dozens of small avocado fruits on it, pollinated by our bees and various insects. The peaches are plentiful and beginning to blush but still too hard to pick. Pears and apples are for the autumn. We have such an abundance of bitter oranges and lemons that Michel has begun to make tarts with them and I am thinking about citron sorbets. So any delicious and unusual recipes would be much appreciated. You can write to me on the email address above. So, back to work for me. I wish you a wonderful summer, or winter if you are reading this on the other side of the world, with plenty of time for reading. Two earlier novels of mine have been republished as e-books and are garnering very positive feedback. Both are novels of intrigue set in tropical locations. An Abundance of Rain and Mapping the Heart. Both are available on Amazon everywhere. These are the UK links but they are available for downloading in all territories. Enjoy these wonderful days and thank you for being supportive and staying in touch.